Pasta Faella. It's Time to Celebrate!!! 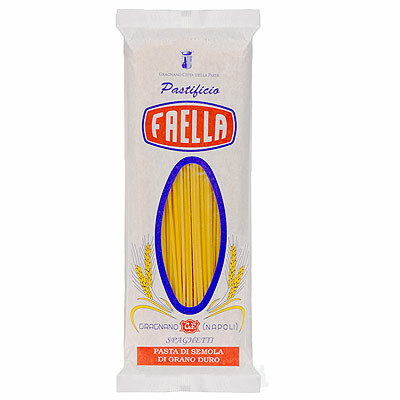 Pasta Faella. It’s Time to Celebrate!!! Udite Udite! 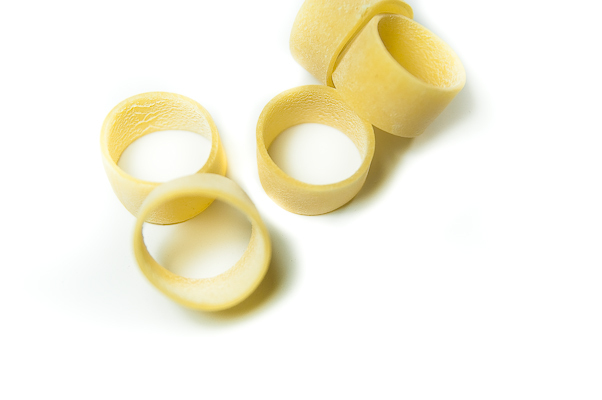 You can’t miss David Rosengarten’s article on Pasta Faella! It’s in his newest newsletter, here. The article is below – word by word. We don’t want you to miss anything! “Perhaps you know about Gustiamo, the insanely tasteful Italian import company based in Queens, New York? Whatever Beatrice and Martina bring in from Italy is bound to be excellent….and when they bring in something new, I will stop everything to taste it. I stopped everything recently for pasta (isn’t that the way life’s supposed to be?). Beatrice and Martina tell me that Faella Pasta -made at Pastificio Faella in Gragnano, a town just south of Naples that has a huge reputation for dried, boxed pasta- “may” have had its product in the U.S. a “long time ago,” but is most certainly back now. And I tell you it is time to celebrate. Do you know how most dried pasta kinda covers the subject, but fails to reach an intrinsic excitement? Do you know how some inferior dried pasta can even seem like it’s being held together, like papier maché? Gustiamo already brings in two great pastas that avoid those syndromes: the terrific Latini from Marche, and the similarly terrific Martelli from Tuscany. Now comes Faella, Gustiamo’s first pasta from Gragnano, in Campania – and, happily, it zooms to the head of the class with its staple-mates. I tasted three Faella shapes, though there are a few more: the spaghetti, the calamari (it’s not squid! ), and the caserecci corti. I love this spaghetti. It is a little fatter than most, and slithers through your teeth like the whole strand was grown on a tree, cemented together by nature. But it gets even better. I first saw the calamari idea a few years back at Scott Conant’s NY restaurant Scarpetta, where I was served a pasta called “calamaretti” that looked like thick-cut squid rings. Faella’s “calamari” doesn’t seem any larger than Conant’s “calamaretti”-rings about 3/4″ wide, with hollows that are also about 3/4″-but, whatever the proper name, are similarly wonderful. Especially if you take al dente very seriously. Wow! My just-cooked calamari had the texture, not of hard pasta-but of chewy squid! An extraordinary bounce. I saved the best for last. 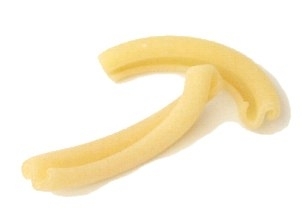 The Casarecci Corti are strands about 1 1/2 inches long; they look a bit like gemelli, but they’re not twisted around, more like paper scrolls with two sides rolled up. This is exactly what you want in an irregular pasta shape: a complexity of impressions, depending on how you bite. Firm and sin-gle here, firm and doubled there, softer there. Endlessly fascinating resilient chew…..and holds sauce beautifully! Don Mario Faella, 95 years old, is the son of Gaetano Faella, who founded the company in 1907. Don Mario still oversees the production, and controls the quality of the pasta, with his nephews and a few other family members. Pastificio Faella is the only pastificio left in Piazza Guglielmo Marconi, the main square of Gragnano. Previous Post If You Are Anywhere in Italy, Le Calandre Is Worth a Detour!!! It took me a while, but recently I had the chance to try this pasta for the first time. I have known Latini, Martelli, Morelli and Rustichella d’Abruzzo for many years, but this pastificio was unknown to me. I made a version of Ratatouille in the oven, with all fresh produce, and then added the freshly cooked spaghetti to it, mingled it well. It was so delicious! I will order this again, and definitely also try its “brothers” (the other varieries from Faella). Since I was a grader, I never liked eating pasta. However, just a year ago, my friends (high school) let me taste this pastificio. This is my most favorite now! I can pasta whole day just as long as it is pastificio. Sharon, great story! Quality can make all the difference in the world! pasta italiano, my favorite among all are fetuccine with cheese and ham. you really have to cook pasta in al dente style , firm and not too soft when eaten. great post!